1. With the help of operating budget, the organisation could set direction of a variety of functions. Based on the budget, targets have been set for different departments, which assist in gauging their overall performance (Popesko & Socova, 2016). 2. The organisation could conduct performance evaluation with the help of operating budget. At the end of the reporting year, the actual outcomes have been compared with the budgeted results and the root cause is detected, when performance fails to meet budget expectations having fixed responsibilities. 3. The cash flows could be managed effectively through operating budget. When the budget is prepared, an idea could be developed about the collections and payments of an organisation needed for a specific month and accordingly, the funds could be arranged (Olesen, 2015). 4. The various functions could be executed according to the plan by using operating budget. If the plans are not occurring as per the budgeted ones, it would assist the respective functions in undertaking necessary steps. 1. The assumptions that all variable expenses are relevant and all fixed expenses are irrelevant need not be made. 2. The unit cost data should not be used directly in order to carry out relevant cost analysis. Management accounting has established measurement systems for reflecting strategy to be used in the business (Cooper, Ezzamel & Qu, 2017). Balanced scorecard is the performance management tool that managers uses in strategic management for identifying as well as improving different internal functions of the business. This performance metric is used for achieving operational strategic vision at enterprise levels regarding problems relating to strategy, planning, performance target, prediction, motivation, communication, competitiveness and decision-making. The organisations use this strategic planning system for aligning day-to-day work with strategy, prioritizing projects, commodities and service, communicating effectively to accomplish targets and measure as well as monitor progress towardsthe strategic targets. The concept of balanced scorecard includes grouping KPI, non-financial and financial from four different perspectives. These perspectives of balanced scorecard includes- customer perspective, financial perspective, learning and growth perspective and internal business procedure perspective (Martello,Watson & Fischer, 2016). 1. Financial perspective- It signifies the organisations long- term goals that provides better returns based on invested capital in a unit. Financial measures are one of the traditional methods of assessing enterprise success that includes- profitability, revenue per sales and growth of sales. 2. Customer perspective- The objective of this customer perspective is to focus on target consumers. This might permit enterprises in creating strategies that is consistent with the kind of consumers they might attract (Akkermans & Van Oorschot, 2018). 3. Internal business procedure perspective- It relates to the analysis of an enterprise internal procedure that is required to be done for achieving desired outcome (Rababa'h, 2014). The entities usually organize as well as manage internal work from the customer’s point of view. From this perspective, the enterprise must recognize internal powers that permit it to maintain as well as enter the market (Valmohammadi & Ahmadi, 2015). 1. Business planning- Different enterprises are adopting varied programs of change. These changes result in diversity with various initiatives that might influence achieving business goals. However, the balanced scorecard set of target as well as measures might facilitate the managers to co-ordinate and commence the initiatives that move enterprise towards its long- term strategic objectives. The balanced scorecard helps the organisation in planning their business by setting the targets, allocating resources, aligning strategic initiatives and establishing milestones. 2. Strategy- One of the vital elements in balance scorecard methodology is the utilization of strategy mapping for visualizing as well as communicating the value developed by an enterprise. For getting away from estimating and reporting, Balance scorecard can be seen as the way of communicating achievement as well as comparing them to the commitments (Johnson, Reckers & Bartlett, 2013). It provides the framework to manage implementation of strategy and also permitting the strategy itself for evolving in response to company’s change in technological improvements and competitive market. 3. Performance targets- The perspectives of balanced scorecard helps to give information as well as techniques for developing the performance measures. This performance metric tool helps to target the activity level expressed as tangible measure against which the present achievement might be compared. This tool helps to present several criteria for the organisations to aid in choosing appropriate measures and collect feedback from the stakeholders. This in turn helps to attain performance targets. 4. Motivation- The learning as well as growth perspective of balance scorecard reflects the way an employee learns and grow for improving enterprise performance. This perspective examines employees’ abilities, quality of the information systems and impact of enterprise alignment. The main focus of this perspective is to take target into consideration when estimating enterprise target for bringing these into alignment. This facilitates to increase motivation of employees so that they can improve existing procedure or products and develop better ones (Yang & Islam, 2012). 5. Prediction-The balanced scorecard also helps to predict the future performance of the firms (Morard, Stancu & Jeannette, 2013). This tool helps to show the method of examining the procedure for particular regions of stability. In addition to this, it also helps to predict future market price of the firms. As a result, this prediction helps to improve the business operations in future (Tjader et al., 2014). 6. Cybernetic effects and control- The balanced scorecard tool also provides analysis of the cybernetic knowledge of the organisations, which in turn can give powerful insights into system of various interlinked variables. Moreover, it also helps the organisations to adopt right approach during complex situations and aids the managers to become aware of their responsibilities. 1. Akkermans, H. A., & Van Oorschot, K. E. (2018). Relevance assumed: a case study of balanced scorecard development using system dynamics. In System Dynamics (pp. 107-132). Palgrave Macmillan, London. 2. Cooper, D. J., Ezzamel, M., & Qu, S. Q. (2017). Popularizing a management accounting idea: The case of the balanced scorecard. 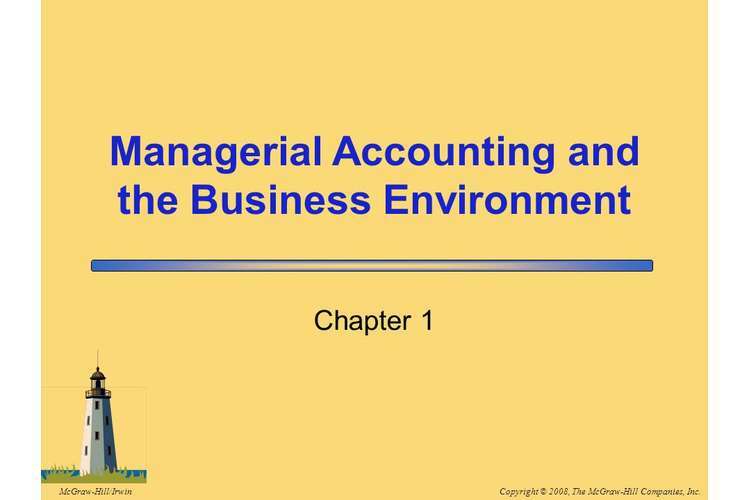 Contemporary Accounting Research, 34(2), 991-1025. 3. Johnson, E. N., Reckers, P. M., & Bartlett, G. D. (2013). Influences of timeline and perceived strategy effectiveness on balanced scorecard performance evaluation judgments. Journal of Management Accounting Research, 26(1), 165-184. 4. Martello, M., Watson, J. G., & Fischer, M. J. (2016). Implementing a balanced scorecard in a not-for-profit organisation. Journal of Business & Economics Research (Online), 14(3), 61. 5. Morard, B., Stancu, A., & Jeannette, C. (2013). Time evolution analysis and forecast of key performance indicators in a balanced scorecard. 6. Northcott, D., &Ma'amoraTaulapapa, T. (2012). Using the balanced scorecard to manage performance in public sector organisations: Issues and challenges. International Journal of Public Sector Management, 25(3), 166-191. 7. Olesen, A. (2015). The Case for Moving Beyond Traditional Budgeting. Beyond Budgeting Institute. 8. Popesko, B., & Socova, V. (2016). Current trends in budgeting and planning: Czech survey initial results. International Advances in Economic Research, 22(1), 99. 9. Rababa'h, A. (2014). The Implementation of Management Accounting Innovations" The Case of Balanced Scorecard Implementation within Jordanian Manufacturing Companies". International Review of Management and Business Research, 3(1), 174. 10. Tjader, Y., May, J. H., Shang, J., Vargas, L. G., &Gao, N. (2014). Firm-level outsourcing decision making: A balanced scorecard-based analytic network process model. International Journal of Production Economics, 147, 614-623. 11. Valmohammadi, C., &Ahmadi, M. (2015). The impact of knowledge management practices on organisational performance: A balanced scorecard approach. Journal of Enterprise Information Management, 28(1), 131-159. 12. Yang, Y. F., & Islam, M. (2012). The influence of transformational leadership on job satisfaction: The balanced scorecard perspective. Journal of Accounting & Organisational Change, 8(3), 386-402.